Okay you bought yourself a new iPad – fast, good device that houses all the stuff that you wanted in just the tip of your fingertips. However, with all the flashy appearance and aluminium-clad shell, iPads are the most scratch-magnet tablets in the market. So before you drool over iOS 7-driven worker, you need to give it an extra care with the case that suits your lifestyle. With the iPad being the best tablet in town, an extra protection for your priced possession is just but necessary. iPads have grown to be a performance-based machine. 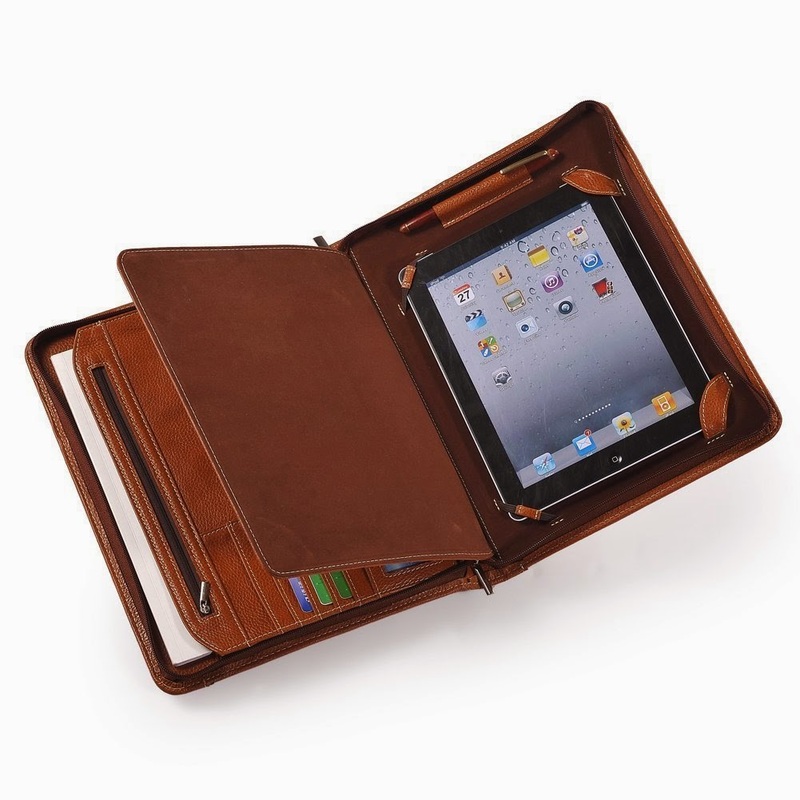 iCarryAlls has all the leather cases that you’ll need for your iPads. So if you’re a frequent traveller or a multitasker, there is a high chance that you keep your office stuff in close proximity with your slate. 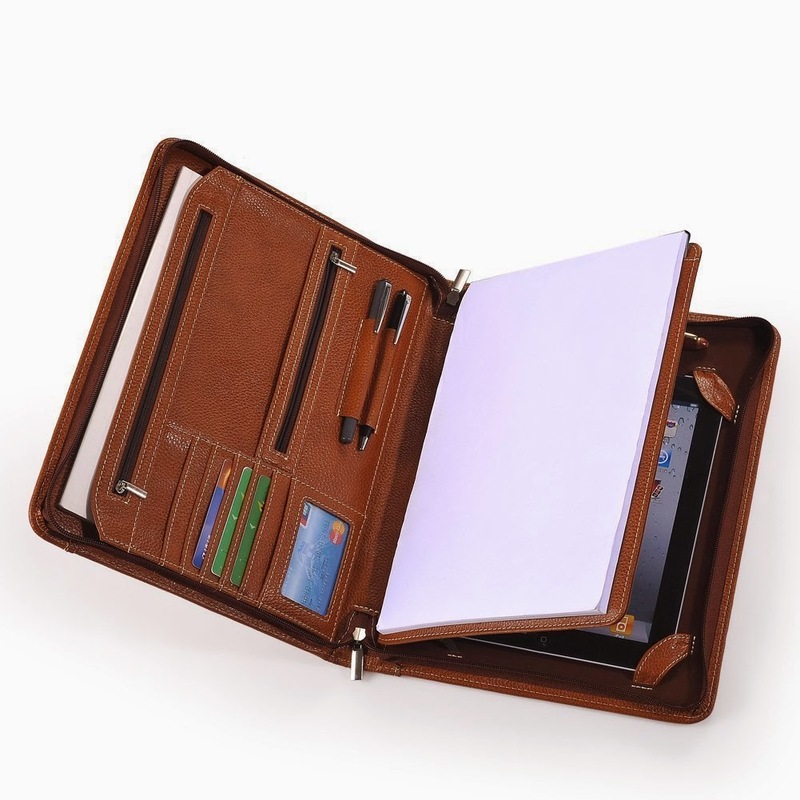 This is where the portfolio case with several pockets fit your needs. iCarryAlls’ iPad Leather Portfolio case is a breath of fresh air for those who packs hard-copies of receipts and letters in their organizers. The case features compartments for your pens, cards and pictures. It’s simply an organizer and iPad case combination. The fact that it is made of premium leather is also an advantage. Plus, unlike other cases, the leather material keeps a good circulation of air in the case to avoid excessive heating of your device. The Zippered iPad Leather Portfolio Case is a good catch to keep you organized. Check out the complete specs below.